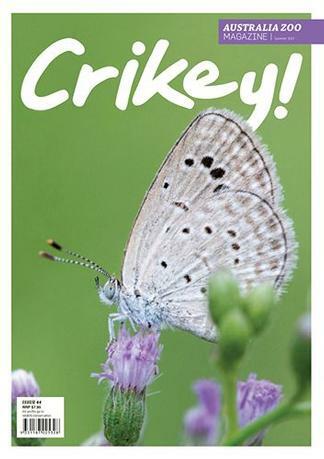 Woo-hoo, the Summer edition of Crikey! Magazine is here! Read all about what the Irwin family have been up too, including Robert’s latest appearance on The Tonight Show starring Jimmy Fallon! Learn more about how we are continuing the great work Steve Irwin started in conservation across the world. See the beautiful photos from our Crikey! Magazine photo competition and meet some of our gorgeous animals at Australia Zoo. Also, a Free Child Pass to Australia Zoo is included in every copy! Samantha is loving the magazine, asking to renew it before it came up for renewal. Full of information and facts and loves the pictures. Great to help with school and keeping for future projects.